This beautiful poppy is one of my favorite flowers. I love the delicate paper thin petals that glow in the sunlight. I also love the stems because they are thin and willowy and have little hairs running up and down. 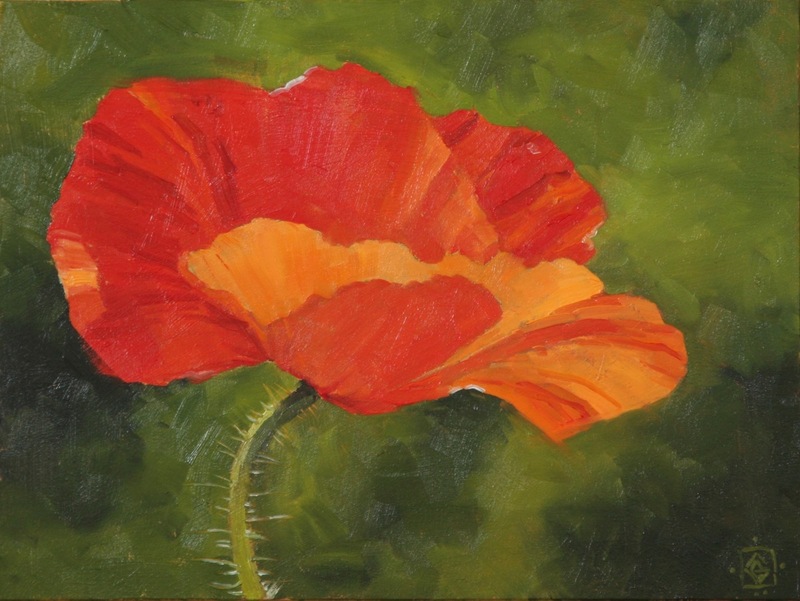 I hope I have captured the beauty of the poppy in this small painting.